*Former “American Idol” contestant Corey Clark, who was eventually disqualified and later claimed to have had an affair with then-“Idol” judge Paula Abdul, has lost his $40 million defamation lawsuit against MTV and its parent company Viacom. He sued in July 2012 over various statements published by an MTV reporter, mostly to the effect that he had been disqualified from the singing competition series after concealing from producers an arrest involving an alleged assault on his sister. 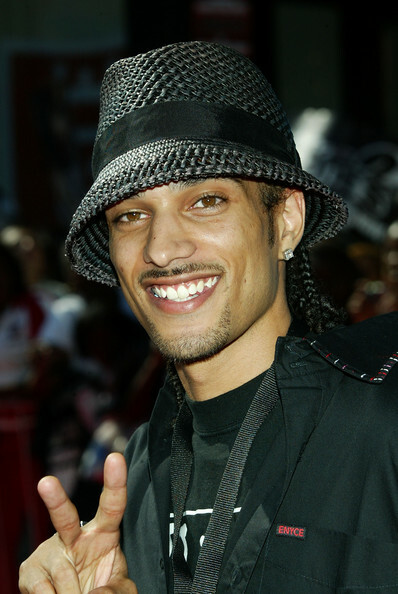 In the lawsuit against MTV, he was later joined by ex-“Idol” contestant Jaered Andrews who was also unhappy with the characterizations of his own disqualification. U.S. District judge William Haynes writes in his opinion that these statements are “comments upon or characterizations of published facts,” and thus not actionable as libel. The Tennessee judge also points out that the characterizations were reported by other reputable news organizations including The Tennessean, the Boston Herald, Cleveland’s The Plain Dealer, the Chicago Sun-Times and People magazine. As for Andrews, who objected to a report that he was “sent home over undisclosed assault charges,” the judge nods to the fact that he admitted he was in fact “charged with one misdemeanor account of ‘simple assault. '” As such, the judge says that the statement is true, and even if it is injurious to his reputation, it’s not actionable. Clark attempted other legal avenues to punish MTV, but those have also failed. A claim under the Tennessee Consumer Protection Act is dismissed because the statements identified by Clark are opinions. A claim under Tennessee’s Personal Rights Protection Act is rejected because the statements didn’t use his name in connection with any advertisement. A claim for false light invasion of privacy is thrown out because the statements were true. Hence, Clark’s lawsuit over characterizations of his disqualification is itself disqualified. Clark still has a pending lawsuit against E! Entertainment and Fox over statements made about both his exit from the show as well as the alleged affair with Abdul. And of course, he and Andrews are among many ex-“Idol” contestants in another lawsuit arguing that the high degree of disqualifications involving African-Americans constitutes willful discrimination. We believe the Judge got it wrong. We are appealing this decision.